The above process is definitely “gaming” the system but it brings into plain view one fact. Weight is only partially measuring the thing that you think that you care about. It is also measuring how much gravity is pulling on you. 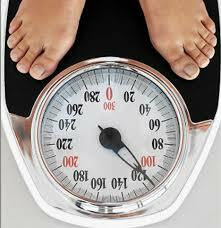 You are one space shuttle ride away from losing all the weight that you have. The things that are truly important are: health, energy, vitality, self-esteem, self-image, or a variety of other things. Weight is a system of measurement without a doubt but it is not the only system of measurement. The world is changing and many of the systems that we have clung to are breaking down. As this breakdown continues, it is important to look at what you value most. Are you merely “gaming” the system? Are you going after real results that have the value that you’re looking for? As a teacher, I see it all the time. The desire for the short term grade rather than the long term knowledge or skills is pervasive. In the long run, the grade is almost worthless without the knowledge or skills. It is not the only system that is broken. We can take valuable fruit from the broken systems but only if we’re willing to see. Weight is invisible but if we look in the right places, we can see what really matters rather than accurately measuring what doesn’t.